How do you know that your dealer isn't selling you a 6 month old car, under the guise of a new one? Or worse still, a car that's over a year old? 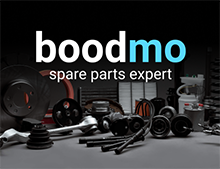 Knowing when your car was manufactured is critical; after all, when you have paid good money for a brand new car, shouldn't you be getting just that? 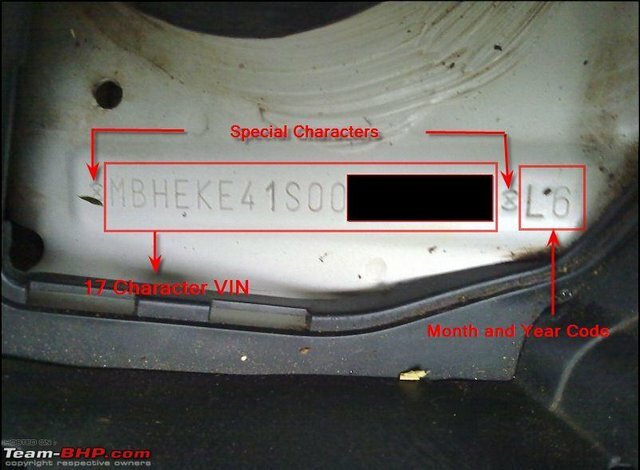 Automotive manufactures around the world use a Vehicle Identification Number (VIN) that can be decoded to reveal the Month & Year of production. Each car has a unique VIN that is usually stamped somewhere within the engine bay, or around the passenger compartment. Team-BHP shows you how to decode the VIN of your car. Simply scroll down to the manufacturer-specific posts and follow the instructions therein. NOTE : An excel sheet containing the location of engine / chassis numbers (on various vehicles) can be found here. P.S. The letters "I", "O" and "Q" are never used in a VIN. Its been confirmed that effective from February 2011, there is a change in the Month and Year code positions of Chevrolet VIN. For e.g if your 7th Character is G then, month is July and if your 9th Character is F, the year is 2015. Additionally, you can find a separate placard near the front left door, right bottom (near seat) that has 2 characters representing MONTH and YEAR. For e.g GF = July 2015. Full credit goes to fellow members Torquedo, keyur and Poitive for the findings. Here's some more info from SPIKE ARRESTOR. Thanks! 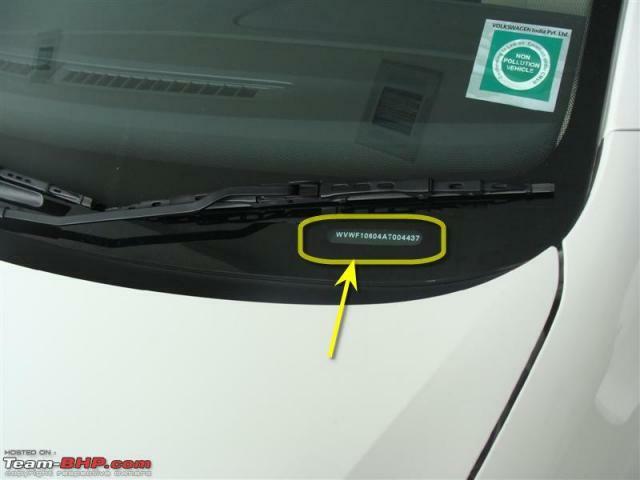 The VIN code for mahindra vehicles consists of 17 digits, which is divided mainly into 3 sections. 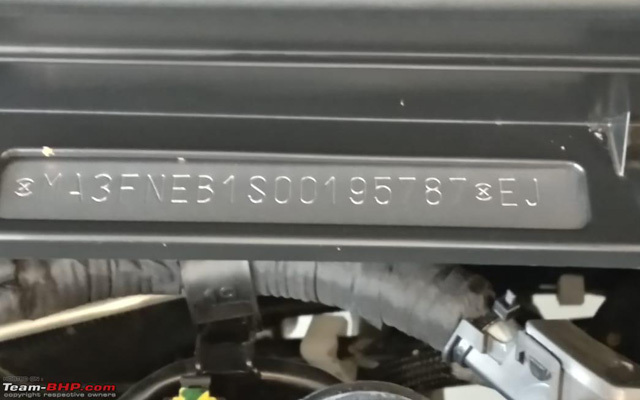 first section containing 3 digits which give details of Manufacturer code. Digit 13-17- Vehicle Serial No. Some cars have 00 as the 10th and 11th characters. In such cases, two more characters are added to the 17 after a star. Ford India uses a pattern which repeats every 4 years. That means the 2005-2008 pattern repeats for 2009-2012 (and so on).